I use a model-based approach in a range of projects spanning from sedimentary structures at Earth's surface to subducted slabs in the upper mantle, with the common goal to understand the underlying physical processes. My current research projects include numerical modelling of subduction and collision, the formation of extensional fault arrays, the formation and evolution of passive margins, and analogue-numerical model comparisons. I am the co-developer (with Susan Ellis from GNS Science, New Zealand) of the numerical modelling code SULEC. 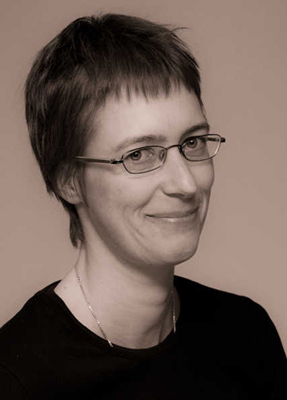 Susanne Buiter holds a M.Sc. and a Ph.D. in Tectonophysics from Utrecht University, the Netherlands. After post-doctoral positions at the University of Bern, Switzerland (2000-2003) and Dalhousie University, Canada (2003-2004), she moved to the Geological Survey of Norway where she has been part of the Geodynamics Team since 2004. In 2010 she joined PGP as Adjunct Professor/Prof. II.